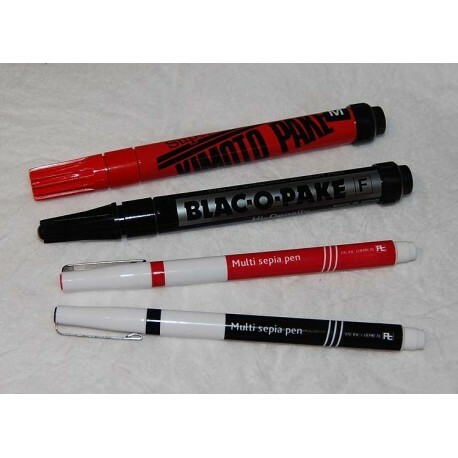 These super density pake TOUCH UP FILM PENS work with a push/flow mechanism which delivers the proper amount of opaque to correct films and coat completely after only one application. Applied ink dries within seconds. Excellent for photo negative and scribe touch-up. 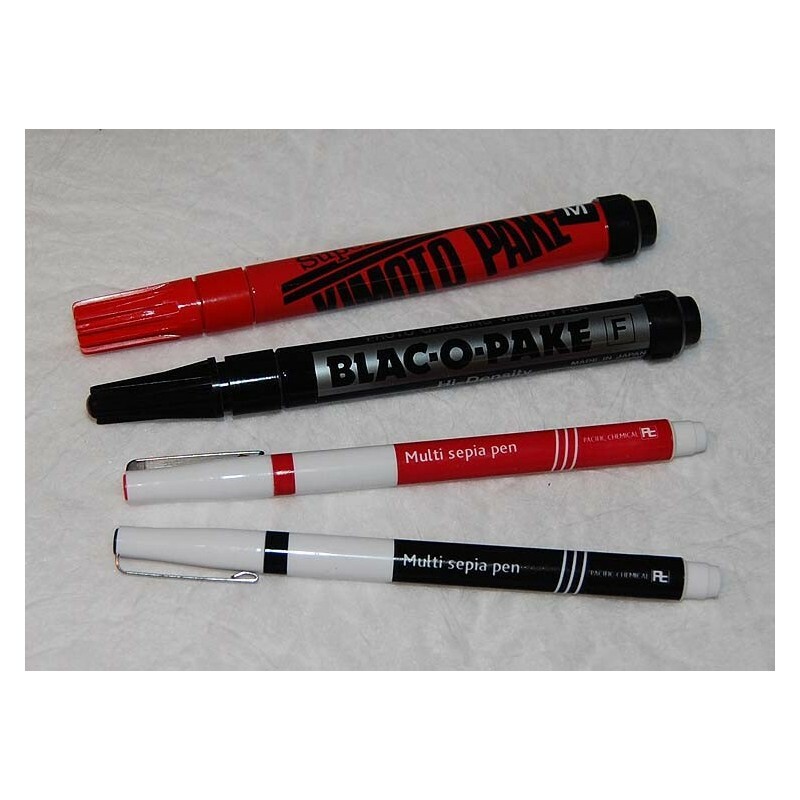 Available in Super Fine Line (.5 mm), Fine (1 mm) or Medium (3 mm) in black. Super Fine Line and Medium also available in red. 12 pens/box.